Hannah Webster Foster was born in Salisbury, near Boston, Massachusetts, the eldest daughter of Grant Webster, a merchant, and his wife Hannah Wainwright. Her mother died when Hannah was only about age 4, and it's likely that she attended a school for girls like the one she later described in The Boarding School or, Lessons of a Preceptress to Her Pupils (1798). The literary allusions and historical facts in her work suggest a good education. 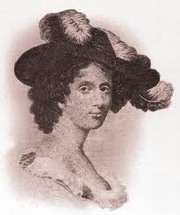 Hannah began writing political articles for Boston newspapers in the 1770s. In 1785, she married the Rev. John Foster and settled with him in Brighton, Mass., where the Rev. Foster served as a pastor. The couple had six children in ten years. After the birth of her last child, Hannah Webster Foster returned to newspaper writing and also published her first book, the popular epistolary novel The Coquette, or The History of Eliza Wharton (1797), which became a bestseller and was often reprinted in the 19th-century. It was re-issued several times in the 20th-century as well. It appeared anonymously, as by “A Lady of Massachusetts,” until 1866. After her husband died in 1829, Hannah moved to Montreal, Quebec, to be close to her two daughters, who were also popular novelists of the day, Eliza Lanesford Cushing and Harriet Vaughan Cheney. Hannah Webster Foster is currently considered a "single author." If one or more works are by a distinct, homonymous authors, go ahead and split the author. Hannah Webster Foster is composed of 6 names. You can examine and separate out names.